We can learn a few things from Finland about retaining teachers. After a decade in the classroom, Kristiina Chartouni says she's ready to quit. The constant scrutiny and second guessing of administrators has made her feel she's teaching "under a microscope," she told The Atlantic. "I am supposedly doing what I love, but I don't recognize this profession as the one that I fell in love with" (Walker, 2016). 55 percent are dissatisfied with some aspect of their jobs, including poor leadership, lack of control over teaching, and too much testing pressure with too little support. 43 percent leave for family or personal reasons. 31 percent pursue another job. 18 percent cite financial reasons. (Sutcher, Darling-Hammond, & Carver-Thomas, 2016). Meanwhile, fewer young people are opting to enter the profession; the number of U.S. college students in education programs plummeted from 650,000 in 2009 to 451,000 in 2014. An estimated 112,000 teacher openings are likely to go unfilled this year—and stay unfilled into the foreseeable future (Sutcher et al., 2016). In stark contrast, Finland has more people clamoring to become teachers than slots available in its schools or preparation programs, where just one in 10 applicants are accepted (Sahlberg, 2015). What is Finland getting right that the U.S. is getting wrong? The recent strike of 20,000 West Virginia teachers protesting pay so low that some qualify for food stamps (Jorgensen & Sterling, 2018) might prompt the question: Are teacher shortages simply about low teacher pay? Data show, for example, that the "teacher pay penalty" (the gap between teacher salaries and those of similarly educated professionals) has grown from 1.8 percent in 1994 to 17 percent in 2015 (Allegretto & Mishel, 2016). Relative pay for U.S. teachers now ranks near the bottom of the developed world—behind 26 nations and ahead of just five. To catch up with middle-of-the-pack Finland, for example, the U.S. would need to boost salaries of elementary, middle, and high school teachers by 10, 18, and 28 percent, respectively (Startz, 2016). In addition, national data show that where pay gaps are most pronounced, teachers leave the profession at higher rates. Take Arizona. Its average starting pay ($31,874) and wage-competitiveness ratio of 62 (meaning teachers' pay is 62 percent of that of similarly educated Arizonans) are in the bottom quintile for U.S. states. Arizona also has one of the nation's highest rates of teacher attrition, 18.8 percent. Meanwhile, Pennsylvania, with a top quintile starting salary ($41,901) and wage-competitiveness ratio (80) has one of the lowest attrition rates, 4.5 percent (Sutcher et al., 2016). Yet the link between teacher pay and attrition rates isn't iron-clad; Missouri and North Carolina, for example, have bottom quintile starting salary and wage competitiveness, yet better-than-average attrition rates (5.9 and 5.5 percent, respectively). Moreover, as noted earlier, just 18 percent of teachers who leave the profession cite low pay as a top reason. Salaries only appear to be part of the picture. Although relative pay for teachers in Finland is only slightly above the average for developed nations, Finland is an outlier in the level of respect it gives teachers. Teaching ranks among the most admired professions in Finnish society (ahead of doctors, architects, and lawyers) and among the top professions young people seek in a mate (Sahlberg, 2011). This wasn't always the case. Back in the 1970s, the Finns set out to build a world-class education system by elevating the status of teaching to that of other professions. At that time, several colleges of uneven caliber trained teachers, so the Finnish government consolidated teacher preparation to just a handful of respected universities. Aspiring educators now undergo rigorous preparation (a five-year degree culminating in a graduate-level research project) to develop deep knowledge of cognitive science and research on pedagogy. Because they're carefully selected and thoroughly prepared, Finnish teachers are granted significant professional latitude to help students perform, which they do at some of the highest levels of any nation in the world. Meanwhile, when Goldhaber and Cowan (2014) parsed student achievement data for graduates of various U.S. teacher preparation programs, they found a wide gap in the effectiveness of the graduates of these programs in terms of catalyzing student achievement. This uneven quality of teachers has, according to some, led to the very policy conditions—including high-stakes testing and diminished autonomy—that appear to lead many teachers to abandon the profession (Walker, 2016). Should We Select the Best and Brightest? It's worth noting that Finland's teacher preparation programs don't necessarily select the "best and brightest," but rather, those with the most potential to become great teachers (Sahlberg, 2015). While the application process includes a subject-specific aptitude test, it's not simply the top scorers who get admitted; half come from the middling range because, according to Sahlberg (2015), a former director general at the Finnish Ministry of Education and Culture, "academically best students are not necessarily the best teachers." It's equally important to identify well-rounded people who'll maintain a passion for teaching. A study of efforts to recruit teachers from selective colleges in the U.S. (Kelly & Northrop, 2015) appears to support Sahlberg's observation. These supposedly "best and brightest" teachers were actually 85 percent more likely to leave the profession in their first three years—perhaps because, upon entering a profession with declining status and pay, they second-guessed their choice to teach. In the end, the single most important lesson from Finland may be that there's no single most important lesson. A combination of policies and conditions—better selection, better preparation, better pay, and better respect—created Finland's strong teacher pipeline. When policymakers in the United Kingdom, for example, attempted to graft one part of the Finnish system (five-year preparation) onto their own system without addressing selection, pay, or workplace conditions, the results were unimpressive (Chung, 2016). Kristiina Chartouni herself illustrates this point. She's actually from Finland. She underwent rigorous preparation at a Finnish university and taught for a decade in Finland before landing a job in the U.S. education system—which she found disheartening and demotivating. In Finland, "I wanted to do my best all the time because they trusted my skills and abilities," she recalls. But in the U.S., she feels constantly pressed for time and scrutinized and finds little joy in the job. As a result, she told The Atlantic, "I am already looking into other options." Allegretto, S., & Mishel, L. (2016). The teacher pay gap is wider than ever. Washington, DC: Economic Policy Institute. Chung, J. (2016). The (mis)use of the Finnish teacher education model: 'Policy-based evidence-making'? Educational Research, 58(2), 201–219. Goldhaber, D., & Cowan, J. (2014). 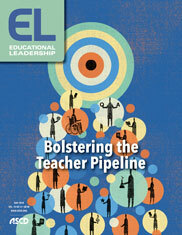 Excavating the teacher pipeline: Teacher preparation programs and teacher attrition. Journal of Teacher Education, 65(5), 449–462. Jorgensen, S., & Sterling, J. (2018, February 26). [CNN news report]. West Virginia teacher strike set to continue Tuesday. Kelly, S., & Northrop, L. (2015). Early career outcomes for the "best and the brightest": Selectivity, satisfaction, and attrition in the beginning teacher longitudinal survey. American Educational Research Journal, 52(4), 624–656. Sahlberg, P. (2011). Finnish lessons: What can the world learn from educational change in Finland? New York: Teachers' College Press. Sahlberg, P. (2015, March 31). Q: What makes Finnish teachers so special? A: It's not brains. The Guardian. Startz, D. (2016, June 20). Teacher pay around the world. Brown Center Chalkboard [blog post]. Washington, DC: The Brookings Institution. Sutcher, L., Darling-Hammond, L., & Carver-Thomas, D. (2016). A coming crisis in teaching? Teacher supply, demand, and shortages in the U.S. Palo Alto, CA: Learning Policy Institute. Walker, T. (2016, November 28). When Finnish teachers work in America's public schools. The Atlantic.